Spending a holiday in the shadow of the Dome, as we call it in Florence, is the dream of every person who decides to enjoy an unforgettable holiday in the heart of the city the cradle of the Renaissance. A direct contact with the monuments and works of art known in Italy and throughout the world. With us, all this is possible. 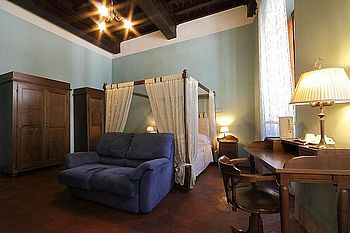 Your bedroom will be a few meters from the masterpiece of Brunelleschi (Santa Maria del Fiore). In that stretch of road between Canto al Bargello and the CXanto dei Bischeri, as in ancient times was called the current Via del Proconsolo. This is the neighborhood where Dante was born, the great poet, who lived here until the day of exile. This is the quarter that you expect to spend a pleasant stay in the real center of Florence Italy.